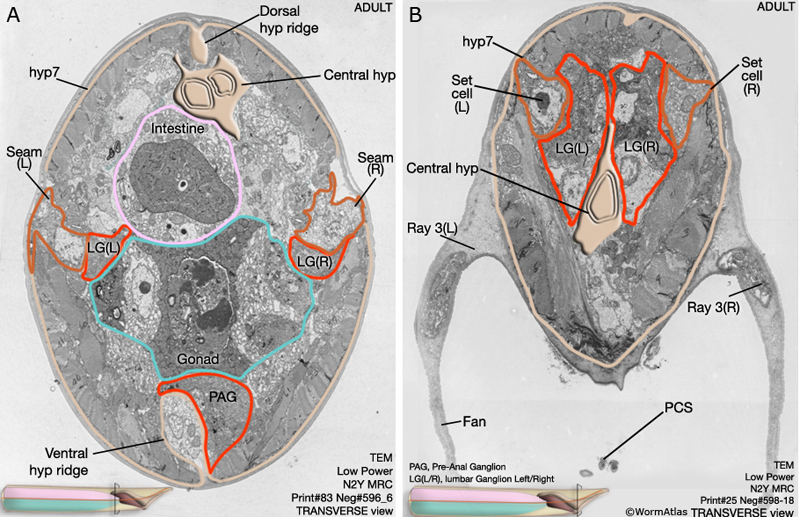 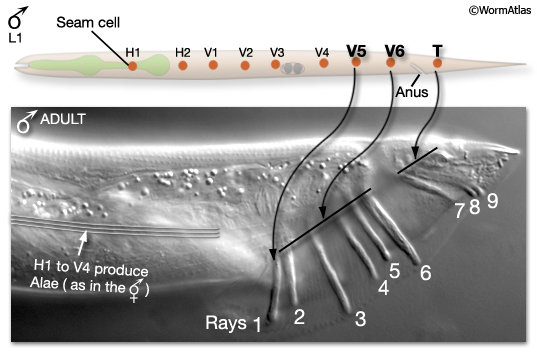 The adult male tail bears a total of nine bilateral pairs of rays (numbered, n, 1 to 9 from anterior to posterior, left to right) which are embedded in a cuticular fan (MaleHypFIG 2). 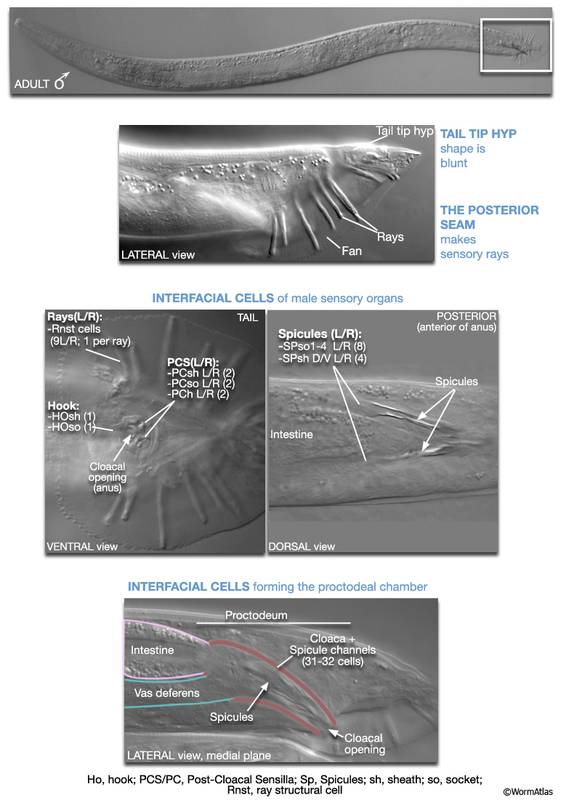 Each ray consists of the dendritic endings of two sensory neurons (an RnA and an RnB neuron), surrounded by an epithelial tube formed by a ray structural cell (Rnst). 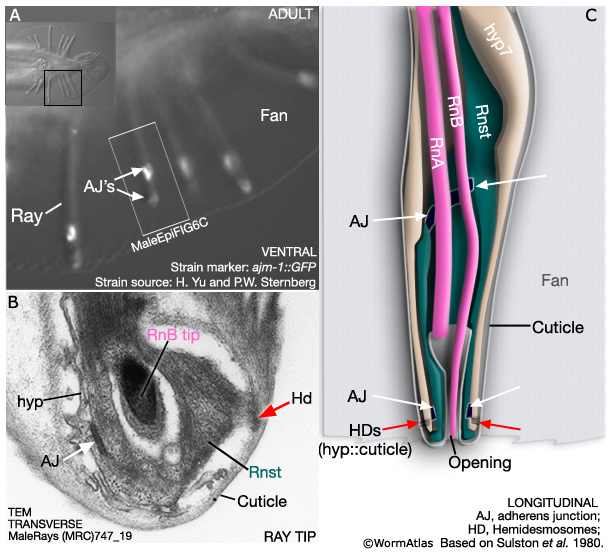 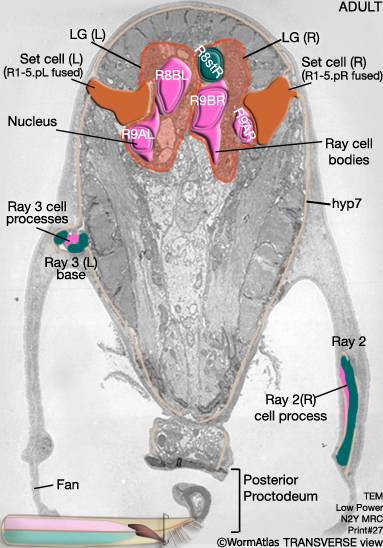 All ray cell processes are ensheathed in an extension of hyp7 and cuticle (MaleHypFIG 2; for details see Male Neuronal Support Cells - Rays). 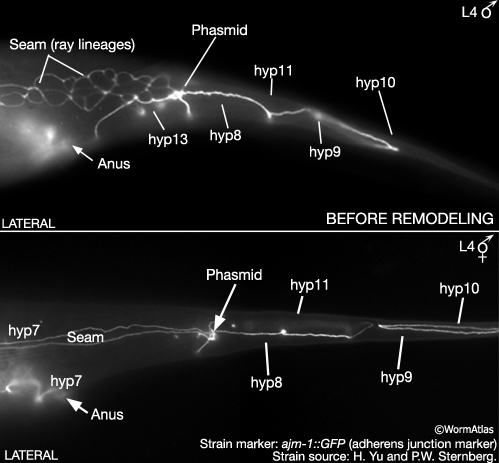 Except for ray 6, the tips of the rays open to the environment. 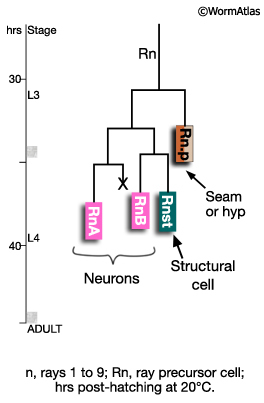 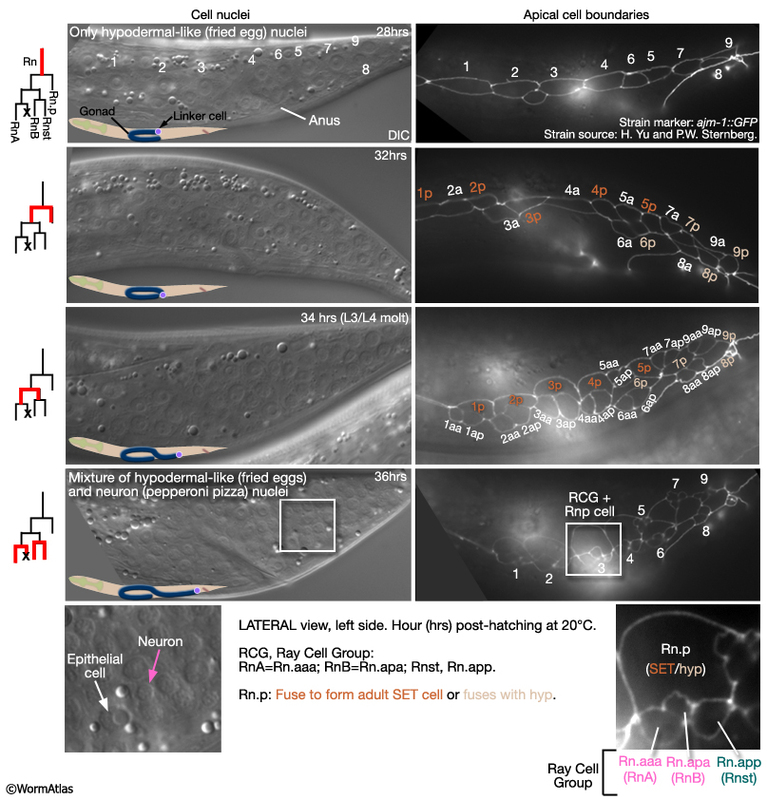 At light microscope resolution, ray openings can be seen as a "ring-and-dot", formed by the hyp and Rnst cell encircling the RnB neuron tip. 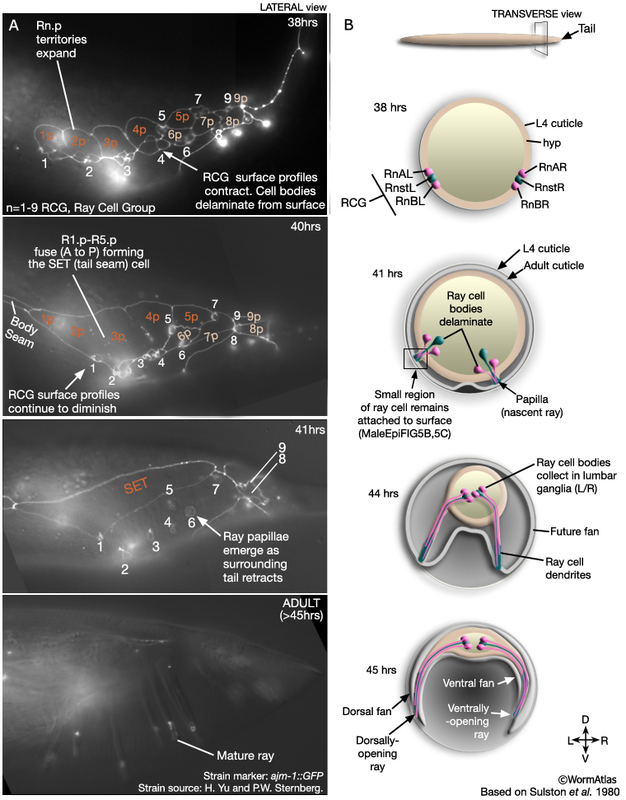 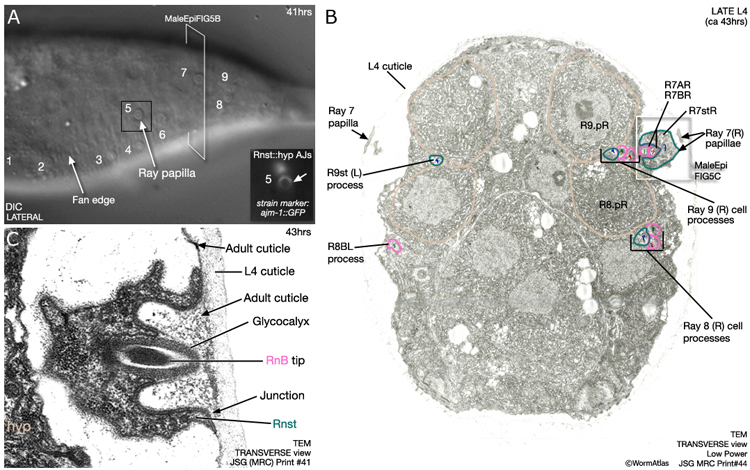 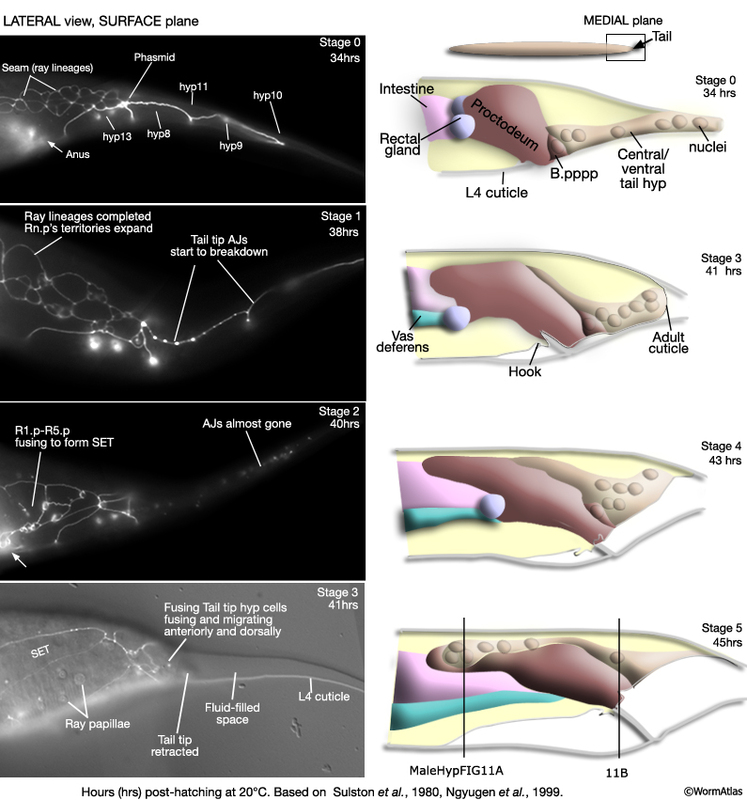 Ray development spans L2 to late L4 and can be divided into two non-overlapping phases (1) ray cell generation and (2) ray morphogenesis.